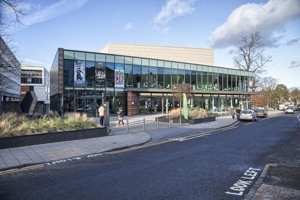 Guildford has a long history of musical successes with groups, such as Genesis, having roots in town. 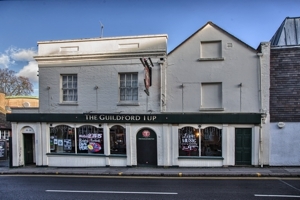 Other famous musicians include Michael Ball who studied in Guildford, Norman Cook and Eric Clapton who were raised nearby, and Roger Waters, Petula Clark and the Jam all having close links to the town. The current music scene is very much alive and kicking with dozens of local acts regularly performing in clubs, pubs and community centres. 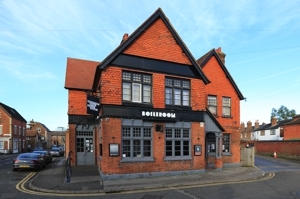 The Boileroom is a major venue for lovers of Guildford’s alternative music scene, hosting musical events on most days with performances generally starting at 7 – 7.30pm. Although parking adjacent to the building is limited, there is ample space in the multi-storey car park opposite and the venue is working hard to become as accessible as possible. There is parking for blue badge holders outside the Boileroom on the adjacent streets, and essential carers can obtain a free ticket to accompany their disabled friend. In addition to the live music, there is a noodle bar. Yes, that’s right, a bar that actually sells noodles and other oriental dishes! This is called the Sizzling Wok and you don’t even have to go out of earshot of the music to get your food! With different size stages that can be adapted to suit different performances, ample local parking, a bar and food on-site, wheelchair access, modern facilities throughout, and a huge range of musical offerings, G Live has become synonymous with high-quality musical performance. World class orchestras, such as the Royal Philharmonic and Bern Symphony Orchestra, operas, local school music associations / orchestras, and touring groups, including Mike and the Mechanics, Bellowhead and UB40 are all presented at G Live. There are even sing-along events based on Disney films. 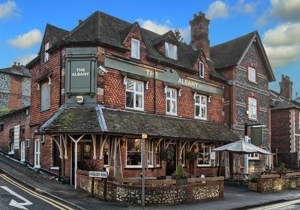 The Albany is a gastro-pub not far from the town centre with ample seating, real ales, and a reputation for good food and live music. The pub hosts live music with Gavin and his Guitar every Tuesday, whilst Sunday evenings tend to include jazz and the blues. 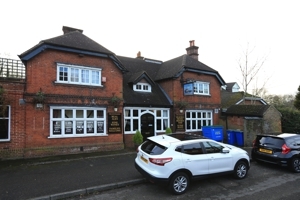 The Albany Pub also occasionally host Open Mic Nights for the aspiring local artists in Guildford. Primarily a pub, serving both Real Ale and Real Cider, the King’s Head is also a popular music venue with acoustic music on Tuesdays. 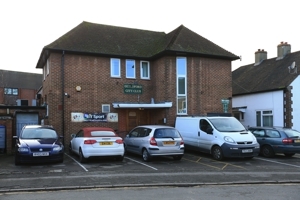 The venue also hosts Open Mic sessions on Thursdays and Sunday evenings, which often involves performances by local groups from in and around the Surrey area. 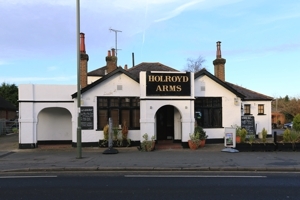 There is a lively music scene at the Holroyd Arms with live performances throughout the year. Local live bands take to the stage most Saturdays with smaller gigs also taking place throughout the week. There are also regular disco nights with a strong fan base turning up to relive the heady days of disco. Entrance is always free and the bar serves a decent menu, as well as beers and wines. The Tup plays host to a range of acoustic artists and local bands, including a regular slot for Gavin Thomas (of Gavin and his Guitar) on Saturday nights from 9pm. A particularly nice feature of his sets is that the audience can write their requests in a book and those songs then become part of his set for the night. Like the Guildford Tup, the music scene at the Row Barge is centred around acoustic sets and local groups. Open Mic sessions, known as Vic’s Buskers, take place on the first Tuesday of every month and kick off at 8pm. Music events can get quite crowded, particularly when they coincide with televised sporting events, so we recommend arriving early to avoid missing the music. The Club hosts regular band nights and has both a traditional disco dance floor, complete with lights and smoke effects, and Karaoke available for hire. Previous music gigs have included Sounds of the Suburbs, Rage Dc and Jezebel No More. It should be noted that it is a private members club; Guests are always welcome and can use the club up to three times in any month before being required to take out membership. 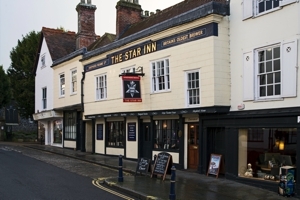 The Star claims to be Guildford’s longest running live music venue, and, at over 400 years old, it is probable that they are telling the truth. The ‘Live & Loud Bar’ is the venue within The Star where the music happens. The music featured varies from heavy metal, such as, SevenSmith, Pensevor, and Flesh Trench, to tribute bands like Stiff Bizkit, who claim to be Europe’s best Limp Bizkit tribute band. Another includes FakeID, who cover songs from the 60’s. Some events are free and others involve a small fee, but usually no more than a fiver. 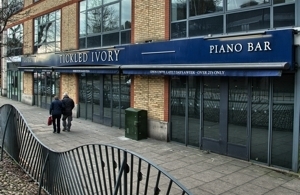 Marketed as one of the most atmospheric music venues in the country, the Tickled Ivory Piano Bar hosts live performances on Tuesday, Wednesday, Friday, Saturday and Sunday. Each night features a different musical style or theme. And, as you’d expect from the title, the piano is featured heavily. Some of the more well-known musicians to have played here include: Derek Nash, Carl Sinclair, Robbie Peaple, Brian May, Amy Winehouse and Dino Baptiste. 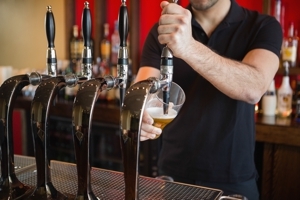 Kick off times vary according to the day but gigs usually run from either 10pm to 1am or from 5pm to 9pm. Additionally, Sunday is Open Mic night where you can show off your singing skills, whilst being accompanied by the resident musicians. Some events are free, whilst others involve an entry charge. This can sometimes be avoided by turning up before the music starts. And, students may qualify for a discount at some events. There is a dress code of smart casual clothing, but take note that sports clothing of any kind is not permitted. This includes trainers, walking boots, tracksuits, and hoodies. The full dress code can be found on their official website. 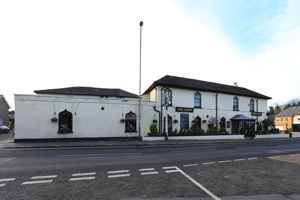 The Stoke Pub & Pizzeria hosts live music on Mondays, Wednesdays, Fridays, Saturdays and Sundays. The regular weekly fixtures include Monday’s ‘Sessions@The Stoke’ from 5pm to 7pm, with recitals from classical instruments normally associated with orchestras. Wednesdays are swing days, with everything from 30’s and 40’s big band tracks through to HipHop, Dubstep and Electro. Friday is a more eclectic mix of local bands and resident DJs, whilst Saturday concentrates on alternative material from the 90’s. Sunday is marketed as their Big Chill day with original talent, recitals, music, poetry and audience participation.